Design Crimes: The Logo from Hell! Immediately following a 1965 episode of Bewitched, Design Crimes HQ’s switchboard was overloaded with mysterious distress calls. Many consisted only of whimpering. In the background of some, faint yet hypnotic chimes could be heard. Responding officers found children cowering behind the La-Z-Boy, or hiding in the broom closet, inconsolable. No record of assailant(s) reported. Televisions showed only Peyton Place. Over the next decade, similar distress calls were received, but without hard evidence of design assault, case was closed in 1974. Now, independent paranormal graphics researcher Rodney Ascher has re-opened case with conclusive proof, unveiled at the Sundance Film Festival, of the graphic’s existence, and recently declassified eye-witness reports of its demonic effect on children in the late 1960s and early 1970s. 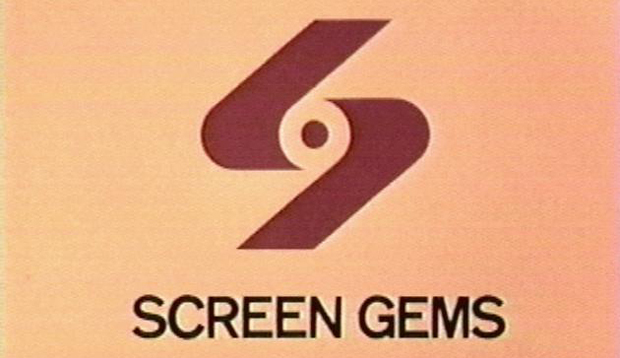 Assailant now understood to be Screen Gems Logo, comprising animated bars of light that appeared to reach out of television screens, drawing unsuspecting children into alternate dimension through hypnosis and creepy music. Research now reveals a rash of similar attacks throughout that era. Assailants include PBS and Walt Disney, heretofore considered wholesome and immune to such witchery. A Design Crimes case squad has been formed to examine all reports of attacks. If you or someone you love were or are suspected to be a victim, post a comment below. Following video footage not recommended for children. View at your own discretion.